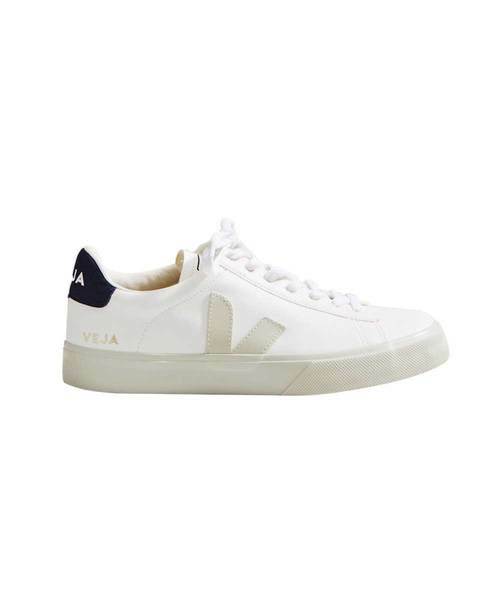 New in 2019, Veja white low top trainers made with certified Vegan content. Made with laminated cotton uppers to give a leather-look finish with contrasting navy heel detail, and feature a gold metallic logo on the outer side, over a grey wild rubber sole. Diverse in London, United Kingdom. Find similar products in: .